We're delighted to announce the FRONTM3N gigs for next January 2017. We're off to Germany once more with a couple of trips over the border to both Switzerland and Holland. Mick is looking forward to performing an acoustic set at Jagz in Ascot, one of Berkshire's premier music venues. Tickets are on sale now - click here for details. Back for another acoustic session at The Colour House at Abbey Mills in Merton on 5th April. For details a nd tickets, click here. Mick is back at The Colour House Theatre at Merton Abbey Mills on Saturday 26th October with another intimate solo acoustic show, playing tunes from his solo album 'So The Story Goes' and performing some new material from his forthcoming album. Mick will be playing the Stendhal ArtsFestival in Morthern Ireland on Friday 16th August alongside Matt Backer. As well as being the guitarist of ABC, Matt has recently had some great success with his solo material as recent single ‘All that you wanted’ featuring Julian Lennon, has reached the top ten in many American charts. 10cc announced as special guests on the Status Quo "Bula Quo" tour - December 2013. 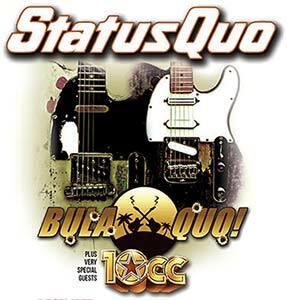 10cc will be joining Status Quo on their "Bula Quo" tour this December in the UK. 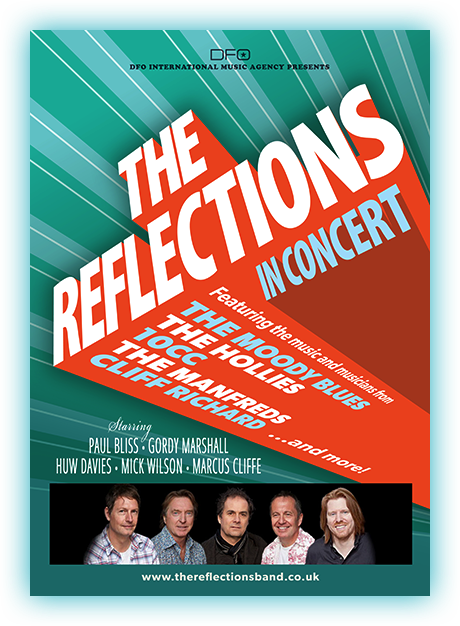 The full list of dates and ticket details are listed on Quo's site here. 10cc have joined Quo on several occasions over the last couple of years at various festivals, but are looking forward to teaming up with the guys again on the 11-date arena tour leading up to Christmas. 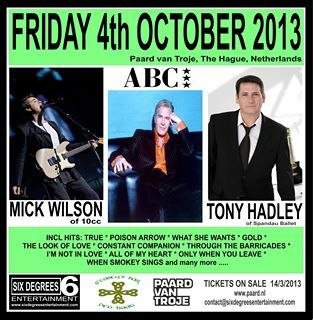 Mick will be supporting 80 icons Tony Hadley of Spandau Ballet and ABC with lead singer Martin Fry on 4th October at O'Casey's 20TH ANNIVERSARY PARTY in The Hague - Netherlands. 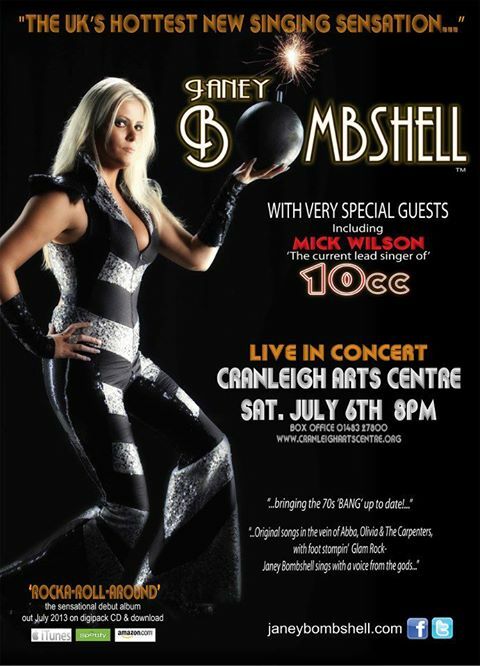 Mick is looking forward to being one of the special guests at Janey Bomshell's "Bomshell Ball" at the Cranleigh Arts Centre, Surrey on Saturday 6th July at 8.00pm.